Fresh asparagus—It must be Spring! Asparagus sprouts are in the stores. 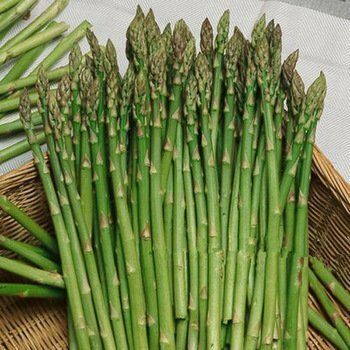 A perennial plant native to Europe, asparagus is steamed or roasted to serve simply, or layered or rolled into pastry and then baked to tenderness. In Germany, some sprouts are not allowed to green by keeping a mound of dirt over the growing shoots to block the sun until cutting for the table. Spargel – these white asparagus sprouts are particularly delicate in flavor and texture. Oh! Add Hollandaise sauce and you have something wonderful! Asparagus is a good source of vitamins C and K, Calcium, Zinc, Potassium, and dietary fiber. Sturdiwheat Galette Mix and Sturdiwheat Rye Galette Mix are a quick and simple, elegant way to bake and serve your fresh asparagus.